As this is a very long bulletin I have done a summary – all in all, a good budget for housebuilding and development although with some major caveats looking at land banking, capturing land value uplift through reformed CIL, and the actual application of funds. However, good intentions and moving in the right direction. As to the rest of it, well it’s all about politics and not being seen as the Nasty Party. Well, we are truly living in a 90s revival – not just the re-emergence of badly fitting jeans and curtains hairstyles on the youth of today – but Ministers resigning all over the place, sleaze and scandal back in the headlines and Boris Johnson still in post, despite his very best efforts. We have at least, achieved the unthinkable – we make the Trump administration look relatively sane. Philip Hammond may well be the only person who has twice delivered his last Budget, given that the vultures were circling his head at his last outing in anticipation of the Tories gaining a whacking great majority at a potential future General Election. Obviously, they received a whacking trouncing instead and Hammond lived to see another day mainly due to the paralysis of Theresa May in terms of making a decision of any sort. There was at the outset, a hilarious joke about cough sweets, prompting Theresa May to get out the cough sweets for Hammond in a show of unity and camaraderie which no one fell for. Having been accused of too many dad-style jokes previously, Hammond this time went for a slightly more esoteric approach with many lines sounding as if he was trying to write a Stock Aitken and Waterman pop song with everyone ‘being given a chance to shine’. This was all about getting in on Labour territory, particularly appealing to younger voters and public sector workers. With a raft of measures including young persons railcards, stamp duty, housing and investment in the NHS (although deliberately not mentioning tuition fees), it left Jeremy Corbyn with a few substantive points removed from his opposition speech and his continued arguments against Universal Credit somewhat redundant – although he made a passionate speech about social care, an issue which was not addressed at all as well as education funding, another area with little mention other than additional investment in maths and IT. Apparently, this is a Budget full of new opportunities which will look forward not backwards (ie. To those heady days of a slim majority). Although, Hammond still spent a lot of time slamming previous Labour governments. Hammond apparently sees a future post-Brexit of harmony with the EU in terms of trading, which is nice, at least someone does. He did, however, make it clear that billions more was to be set aside to deal with Brexit – deal or no deal. Hammond spent a lot of time focusing on choice, framing many of his announcements with ‘we choose’ in an apparent homage to Trainspotting (sure Irving Welsh will be delighted with the nod). Perhaps it was to give an impression of a more cohesive and collegiate approach to this Budget which was, quite frankly, an exercise in putting a brave face over some pretty rubbish economic figures. One thing which was made clear early on was that this is a Budget of investment and the age of austerity is well and truly behind us and the electoral agenda is well and truly in front. Working towards a prosperous and inclusive economy although pretty grim stats overall – growth down, debt is coming down – but not quickly enough, productivity down. Focusing on small business in particular, Hammond announced that they are launching an Action Plan to unlock investment in scale up businesses and doubling EIS investment limits. In another nod to Brexit, Hammond announced that the government is ready to step in and replace European investment funding if required. A lot of investment going into technology through the Action Plan to help upscale UK businesses and a series of other measures. Government is pushing forward investment in the technology for driverless cars – such a marvellous metaphor for the government as a whole – by pushing forward investment in the infrastructure for electric cars. Finally, the climb down on Universal Credit in terms of when people can receive the funds (although UC itself is long overdue apparently, we were treated to a eulogy about how marvellous it is in principle). Increase in the minimum wage to £7.83 from April 2018 – apparently income inequality is at the lowest level for 30 years with the top 1% paying more in tax and the poorest 10% paying less. This may well be the case but the issue remains that the cuts across the domestic agenda disproportionately affect the poor and make them feel poorer. Personal allowance to be increased to over £11,850 from April 2018 and higher rate 40% tax rate increased. Booze duty largely frozen except on cheap ciders. Fuel duty frozen. Taxes on diesel cars which don’t meet new standards will go up by one band. Applied only to cars, not vans. On the NHS – Jeremy Hunt (who has had an alarmingly short militaristic haircut, perhaps anticipating being sent to Borstal at some point soon) was nodding away smugly on the front bench. Apparently public satisfaction with the NHS is at its highest level in more than 20 years. Not quite sure who they asked to get that figure – any ideas? An additional £10bn of capital investment in frontline services over the course of this Parliament. In addition, £2.8bn of resource funding to plan for winters from now through to 2020. Nurses – Hammond expressed his deepest gratitude, which is nice, but isn’t cash. Apparently that will be translated into a new settlement in due course. I wouldn’t get too excited yet. Evoking Martin Luther King, Hammond declared he wanted to create a country “Where the dream of home ownership is a reality for all generations”, acknowledging the fault of a series of successive governments rather than just blaming the previous Labour government. Part of this is about housebuilding and part is about how empty homes are dealt with – leading to an announcement of a 100% council tax premium on empty properties and a consultation on barriers to longer term tenancies in the private rental sector. The Chancellor lauded their own achievements in terms of build to rent with around 320,000 people helped onto the housing ladder. This is indeed a marvellous outcome, however, it doesn’t address the fact that help to buy continues to skew the market and increase prices creating an inflationary bubble at the bottom of the housing ladder so, perversely, actually prices many more people out. Any first-time buyer who has purchased their home in the past couple of weeks will be quietly weeping into their Tesco Value baked beans this evening when they learn that they could probably have had the whole property exempt from Stamp Duty if they had only waited to complete a little while longer as the Chancellor abolished Stamp Duty for first time buyers on homes up to £300,000 with the first £300,000 of homes up to £500,000 exempt for first time buyers. £44bn of capital funding, loans and guarantees to create the biggest annual increase in housing supply since 1970 – although actually, only £15.3bn of this is new money, they rest is already committed; £2.7bn to double the housing infrastructure fund, £400m for estate regeneration, £34m to develop construction skills. DCLG will bring forward planning reform focusing on the urban areas where people want to live and where jobs are created. This is a complete climb down from any potential review of greenbelt which is not surprising but is disappointing given the number of brownfield sites in the greenbelt, the illogical application of greenbelt in some locations and the urgent need for greenbelt release to even begin to meet housing need in many areas. Ensuring councils permit more homes for first time buyers and affordable renters on sites outside the plan provided they are exclusively for first time buyers and excluding greenbelt sites – not clear on exactly how this will be enforced but perhaps it is something to look at in line with the new enforcer role of DCLG which is intervening in 15 local authorities local plan processes. Consulting on de-allocating sites and removing them from local plans where an application is unlikely to be made. And, the one we were all waiting for – yet another investigation into land banking, hot on the heels of several previous reviews undertaken by most governments over the past 15 years. According to Hammond, there is a significant gap between the number of planning permissions granted and the number of homes built. This urgent review will be chaired by Oliver Letwin – interesting choice. Apparently it will deliver an interim report in time for the spring statement next year and penalties will be applied through direct intervention and CPO if evidence is found of hoarding land. ‘If’ being the key word here. 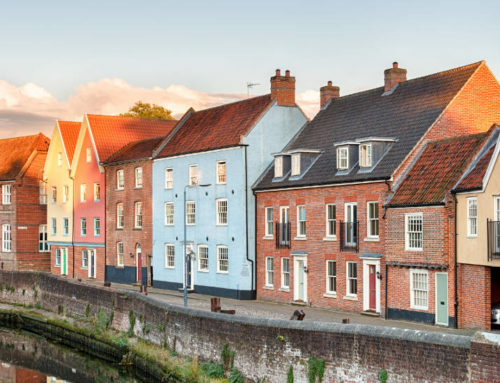 There will also be investment in five new garden towns – not clear if that was the same garden towns which have been announced several times before as it received only a fleeting mention. Removing restriction of Section 106 pooling towards a single piece of infrastructure where the local authority has adopted CIL, in certain circumstances such as where the authority is in a low viability area or where significant development is planned on several large strategic sites. allowing authorities to set rates which better reflect the uplift in land values between a proposed and existing use. changing indexation of CIL rates to house price inflation, rather than build costs. This will reduce the need for authorities to revise charging schedules. This would represent quite a significant evolution in terms of the way in which CIL is charged and applied and also the way in which local authorities and viability assessments are reviewed. With major investment in the regions and devolved nations it was very much a regional investment budget – another play for traditional Labour areas. New £1.7bn ‘Transforming Cities’ fund, 50% to the six areas with elected metro mayors and the remainder open to competition for other cities in England. As part of the consultation on developer uplift there is also a clause looking at giving Combined Authorities and planning joint committees with statutory plan-making functions the option to levy a Strategic Infrastructure Tariff (SIT) in future. SIT would be additional to CIL and viability would be examined in public. DCLG will consult on whether it should be used to fund both strategic and local infrastructure. This opens up major opportunities across the regions. 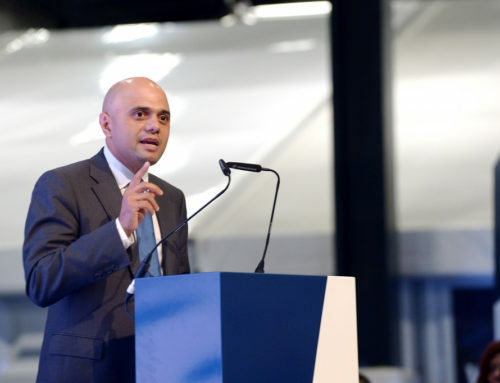 A second devolution deal for the West Midlands: this was not unexpected and was submitted by the WMCA some months ago. However, it does show that the West Mids is well ahead of the curve in relation to other metro-mayors. A key plank of Andy Street’s campaign pitch was to agree a Devo2 as quickly as possible and he seems to have achieved this. I understand that in planning terms he has requested similar powers to the Mayor of London (i.e. call-ins) – this will go down like a lead balloon with LAs so I would expect the end result to be softer than this. The £1.7bn Transforming Cities Fund with 50% for Metro Mayors. This was pre-announced on Monday by the Chancellor and the PM in Birmingham, with £250m dedicated to the WMCA. The reality for the West Mids is that this means an extension of the Metro from Wednesbury to Brierley Hill (Birmingham to the Black Country) which has been costed at £200m. Major investment in the Oxford-Milton Keynes-Cambridge corridor both in terms of infrastructure and housing, pushing forward delivery. This was expected and had been much talked about in advance so effectively ratifies an existing intention. How this actually works in practice will, at least in part, be related to the way in which the planning reform is taken forward driving housing delivery. Evolution of the HCA: The HCA are extremely active in the West Midlands in particular and bring a lot of sites forward. In recent months they have been significantly bolder in their attitude to development. For example, for this first time they are taking applications to appeal. More funding and powers will have a direct and meaningful effect on housing delivery in areas like Coventry, the Black County and Birmingham where there are plenty of brownfield sites but lower land values.